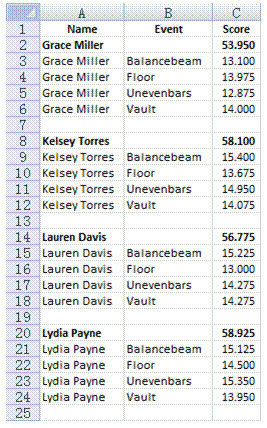 Here’s a list of scores for a gymnastics competition, which has been grouped and aggregated by athlete. 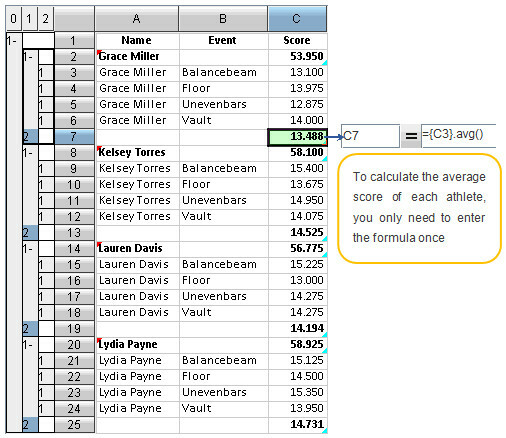 The total score of each athlete is calculated in the summary row that on the top of each group. 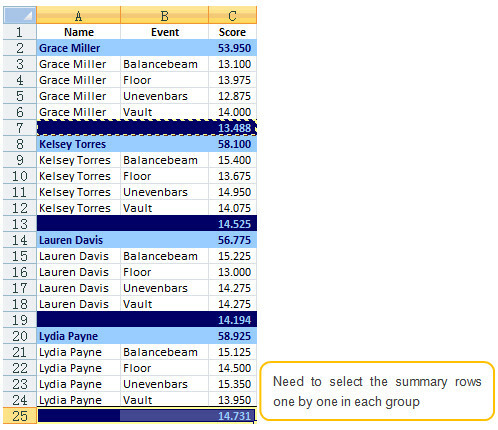 Now you are required to add a new row at the end of each group to calculate the average score of each athlete, and, in addition, in each group set the font color as dark blue and the background color as light blue for the top summary row, and vice versa for the bottom summary row. 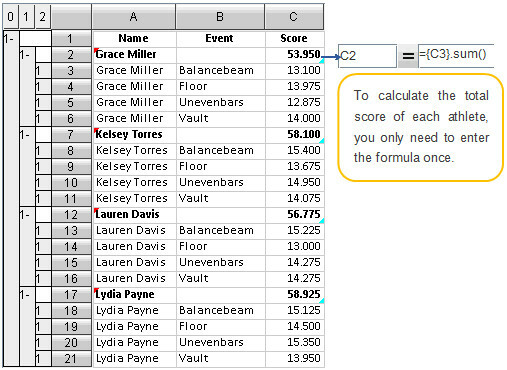 Excel has the categorization and summarization functions to provide much convenience for data analysis. 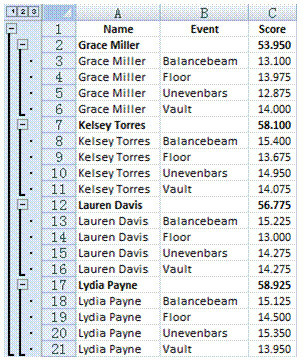 But, as the format requirement on the categorization and summarization is relatively strict, they cannot be applied to build reports requiring special formats. 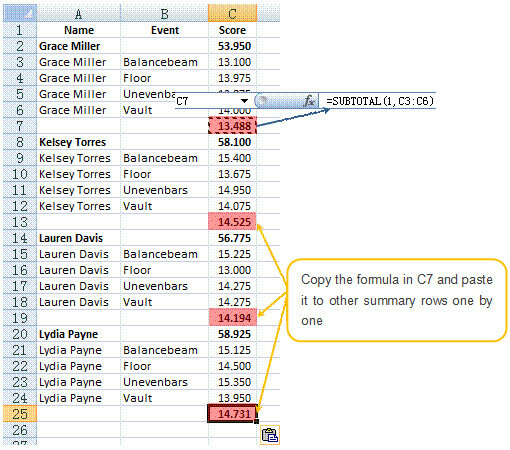 The various appearance properties of cells in Excel are independent of each other. To change the appearance, you have to set it manually. In cases when the data volume is relatively great or there are many groups, such a job will be cumbersome and error-prone. 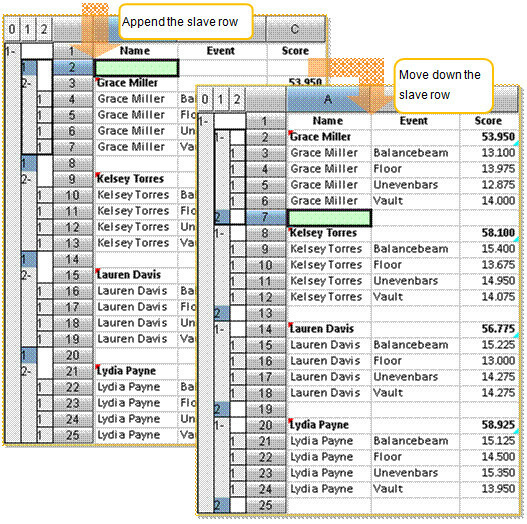 With esCalc, the desktop BI software, you are free to choose a desired format for each group so as to ensure that requirements on report preparation can be met. 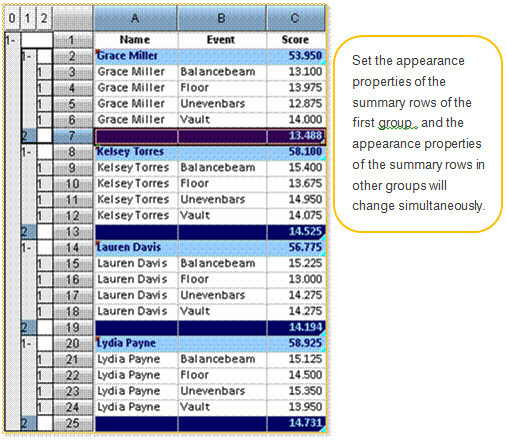 In the real-world business, data of the same information background is usually required to share the same appearance attributes during report building. esCalc introduces the concept of homocell to conveniently describe such type of data. By default, the homocells in the homorows will use the same appearance properties, saving a lot of cumbersome operations.